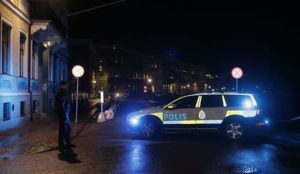 Jihad Watch : A Soros-funded Leftist group says that the President of the Swedish Western Regional Police, Ulla Brehm, confirmed that those arrested for firebombing the synagogue in Gothenburg while a youth party was going on inside were recently-arrived Muslim migrants. Ordinarily I would never trust what such a group said, but it is hard to imagine why a group that supports the Muslim migrant inundation would lie about this, unless they’re trying to pull off some elaborate psy-op. In any case, it would come as no surprise if the attackers were Muslim migrants, and they remain the most likely culprit.